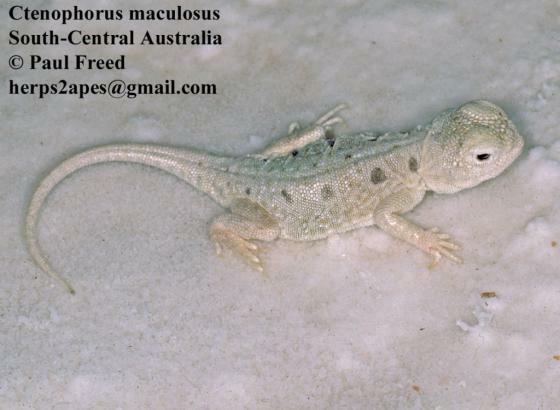 Can you confirm these amateur observations of Ctenophorus maculosus? Type locality: Lake Eyre North, S. A. Comment Lifestyle: lives on the salt lake, burrowing excavations below the salt crust.